Hand In Hand: My Memories Giveaway Winner! Thank you to those who entered the My Memories Giveaway! 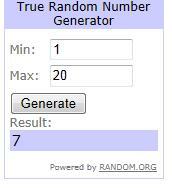 According to Random.org, the winner is Kim from Faith, Grace & Giggles! Congratulations, Kim! Please email me at lifehandinhand (at) yahoo (dot) com and I will send you the information! For those of you who are interested, the coupon code is still active to get a $10.00 discount off of any purchase of My Memories Suite Scrapbook software and a $10.00 coupon for MyMemories.com store. The coupon code is STMMMS30135. Be sure to copy and paste it, just to avoid any typos!